See Big cat at Dean Castle Estate for more details on this sighting. 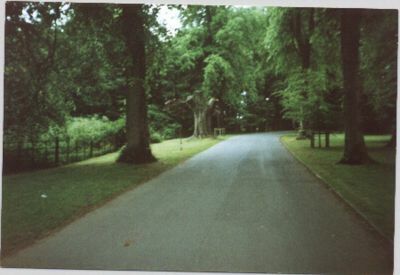 The Dean Castle driveway, Kilmarnock where Duncan Binning had his encounter with a large black cat in 1994. He sketched the animal.